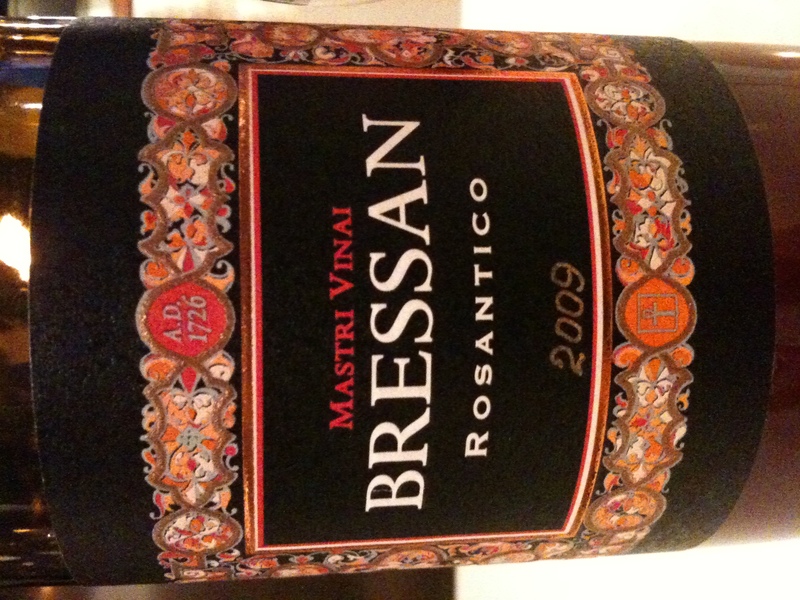 The Moscato Rosa vine has an ancient history dating back to the Austro-Hungarian Empire here in Friuli, hence the clever name on the label. 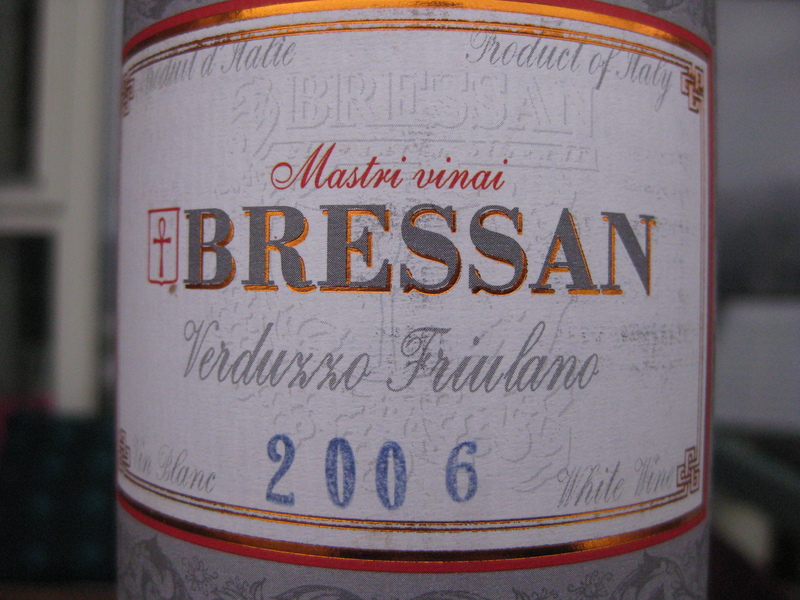 Fulvio Bressan’s family have always had this small (1 HA) vineyard, and Fulvio’s father used to make a sweet wine from the vine, the traditional vinification method for this grape. A rather rich history for this rather difficult little vineyard. After the manual harvest, the grapes were pressed and de-stalked. Maceration was for 3 days, fermentation was spontaneous thanks to the ambient yeasts present on the bunches. 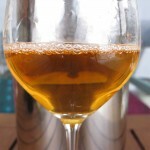 Alcoholic fermentation lasted for about 4 weeks, followed by an induced (by a small increase in temperature) malolactic fermentation. The wine was then racked and left on the fine lees in stainless steel for two years, giving the grape the chance to show its elegance and personality. 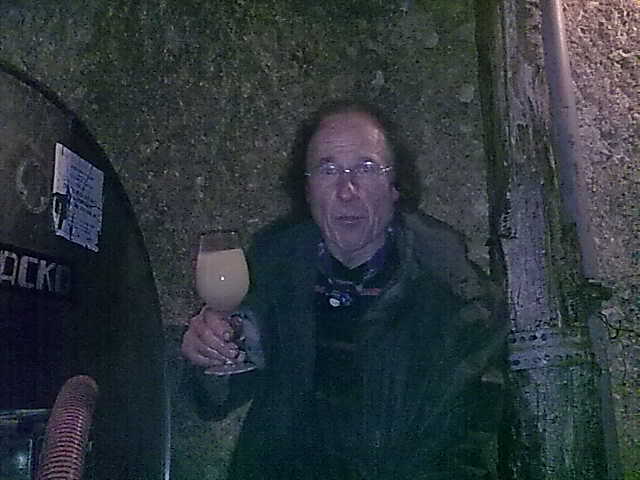 The wine was then bottled without filtration. 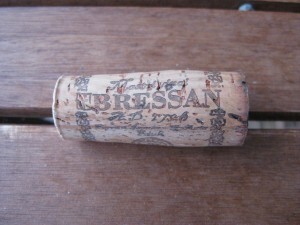 The wine then continued for a bit longer for some bottle maturation. Total alcohol is 13.20% and total acidity is a fresh 6,38 g/l. Click here for some nerdy information for those who care. Nose: Wild fruits (berries) and rose pedals, very intense. Hints of floral soap, yes soap. 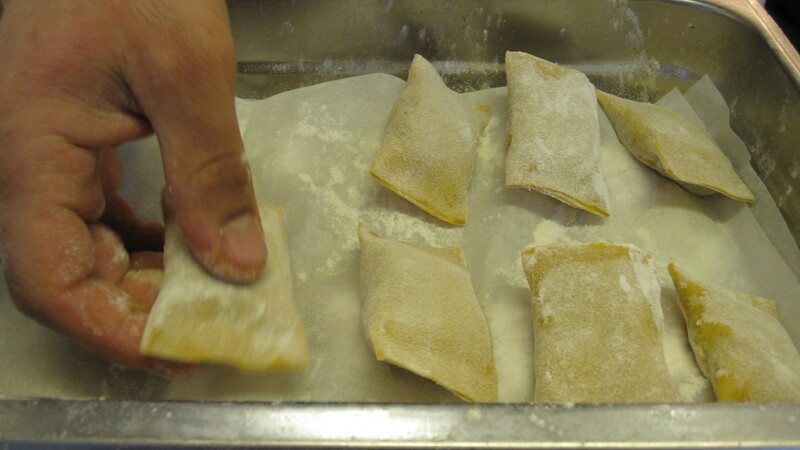 Palate: Dry. Important to emphasize dry, as in none or very little residual sugar. 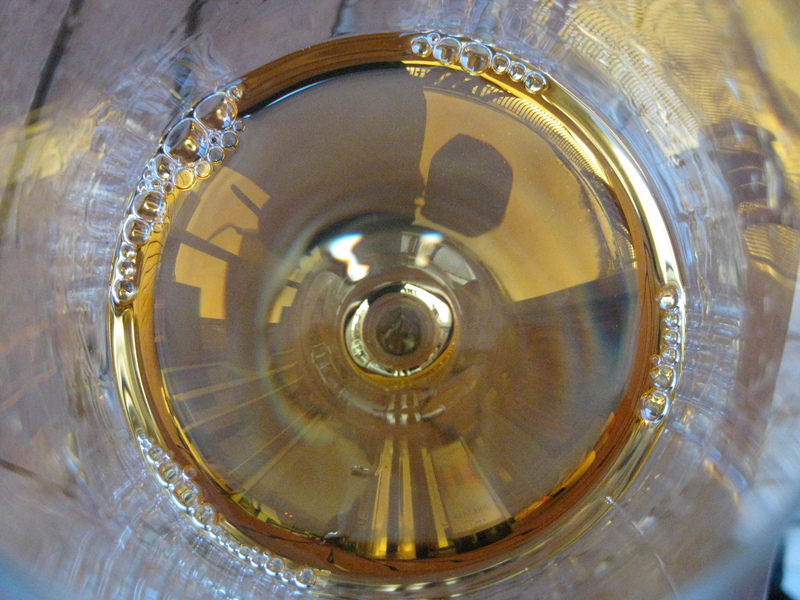 Texture of a liquor, with the alcohol a bit noticeable but not enough to throw the wine out of balance. 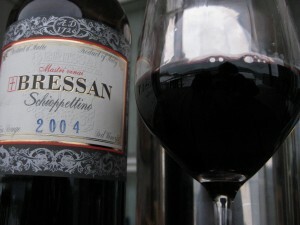 I think this aspect of the wine will integrate nicely in the coming years adding to its complexity. 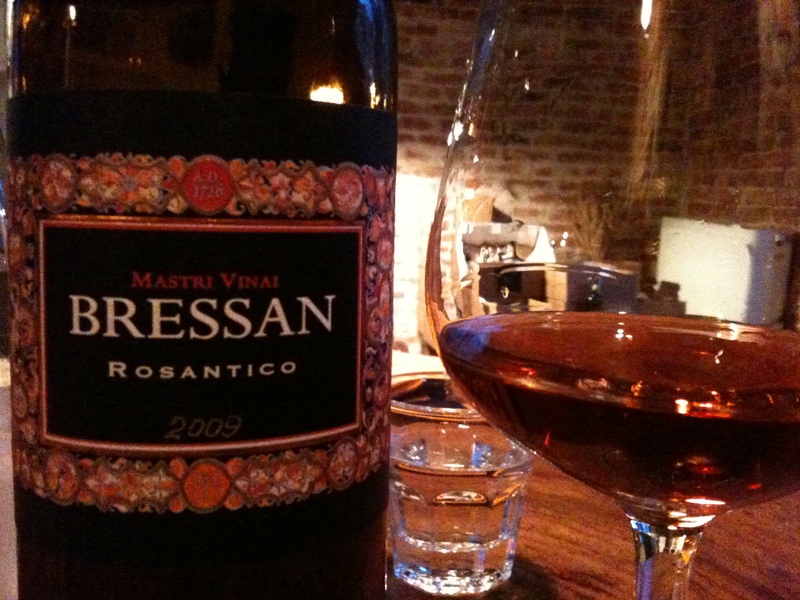 Super length and acidity giving this syrupy wine lots of freshness. Really very liquor-like in the texture. Like a syrup made of fresh berries. 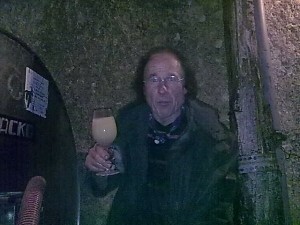 The after taste had mild yeasty hints, which I liked. Although enjoyable now, will be enjoyable for years to come for sure. Goodbye today’s rosé and hello rosé for tomorrow! And along came the Pignolo grape, another very rare, refined, prestigious and indigenous grape of the Fruili-Venezia Giulia region in North-Eastern Italy. 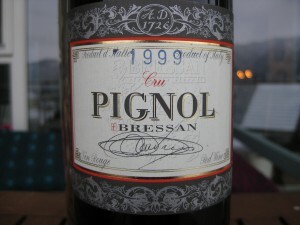 This grape has the potential to make “Cru” level wines, like Bressan’s Cru Pignol, a stunning example of what this grape can do when care is taken in the vineyards and the winery. According to Fulvio, the Pignol needs at least 8 years of aging to become a great wine, and after tasting his latest Pignol release, I would have to agree. 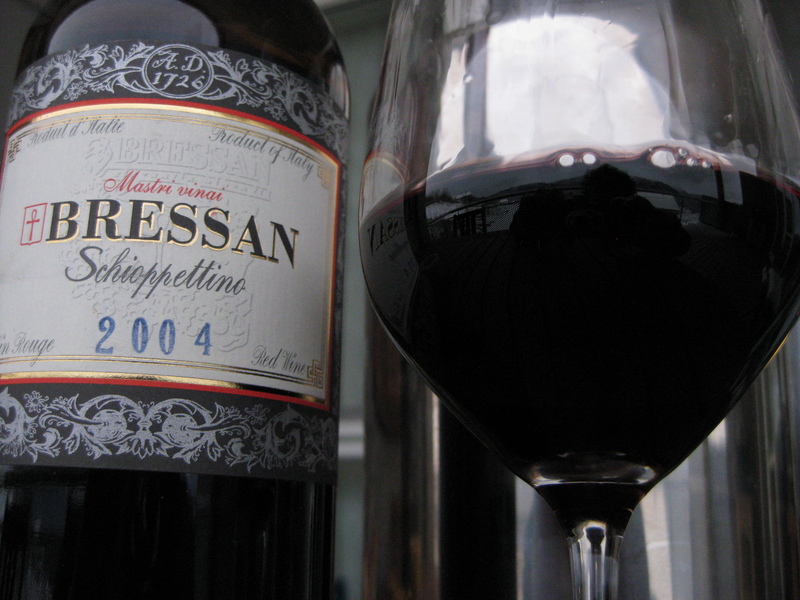 At 10 years of age, this wine is just a baby. Drinking well now, but begging to be left alone for another ten. 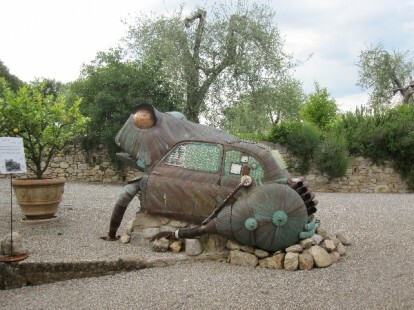 The Schioppettino is a red grape grown predominately in the Friuli-Venezia Giulia region of Italy. 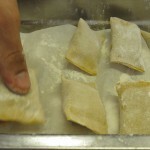 Also known as the Ribolla Nera, pills Schioppettino literally means “gunshot” or “little crack”. 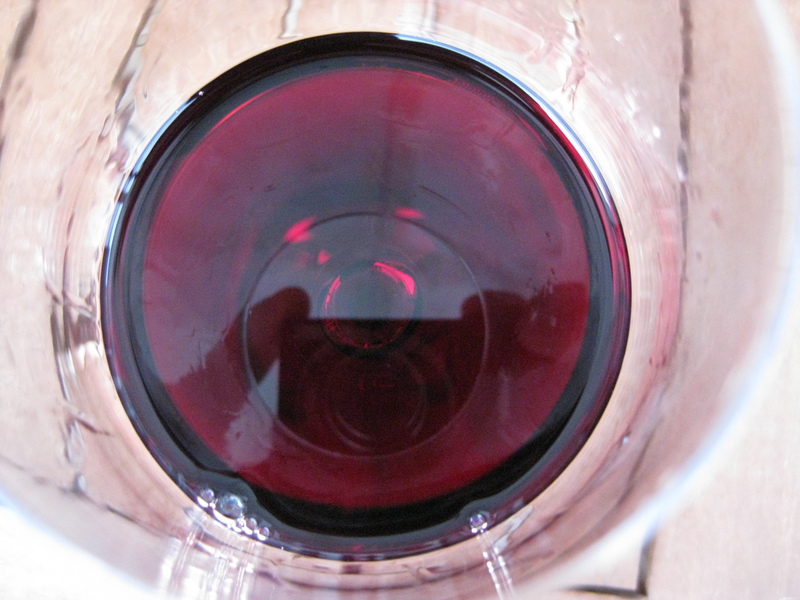 Records show that red wine made from the Schioppettino was used at marriage ceremonies back to 1282. The grape was nearly lost to extinction thanks mostly to the phylloxera epidemic. 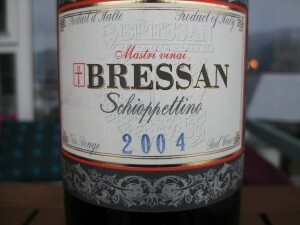 Today, Bressan is one of the few wine makers making wine from the Schioppettino grape. Soil composition: Calcareous mineral base, with high presence of iron sesquioxides. 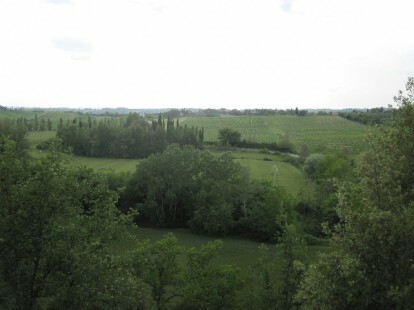 Such geological characteristics, associated with this scarce endowment of organic and other nutritional elements, forces the vines to a slow vegetative growth, resulting in an extremely low production, with an overall benefit to the MACRO and MICRO components of the grapes, and therefore the wines. Harvest: Permitted to slightly over-mature (so as to attain very high fixed acidity congenital to the species), harvested by hand. Wine Making: Grapes are de-stalked and brought to must by way of soft-pressing; extremely long maceration with principal fermentation along with the grape skins, refrigerated with well water at a controlled temperature not exceeding 25C (77F). 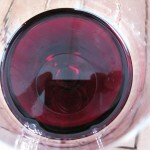 After racking, the wine undergoes an ulterior 35 days of fermentation. The wine is then stored in stainless steel tanks, followed by aging for at least 2 more years in 2000 liter oak casks. 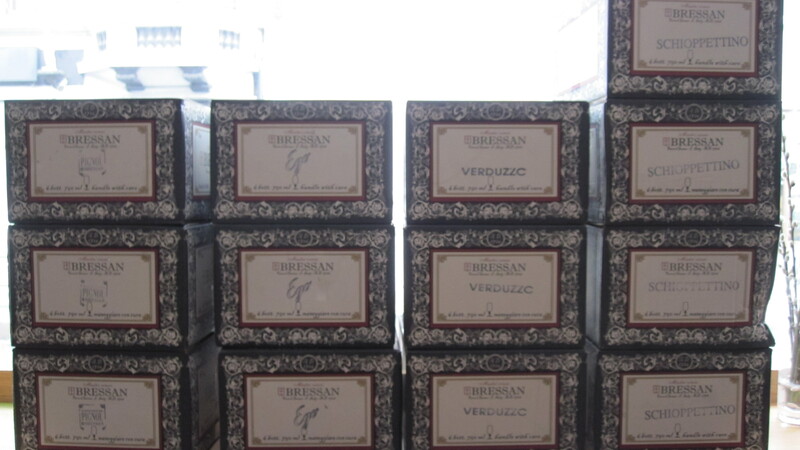 After bottling, groups of 500 bottles are placed in large chests, which are then stored in a temperature controlled warehouse for additional aging. Appearance: Medium dark brick red. Very very slight development showing. Medium intensity. Nose: Very intense freshly ground black pepper. 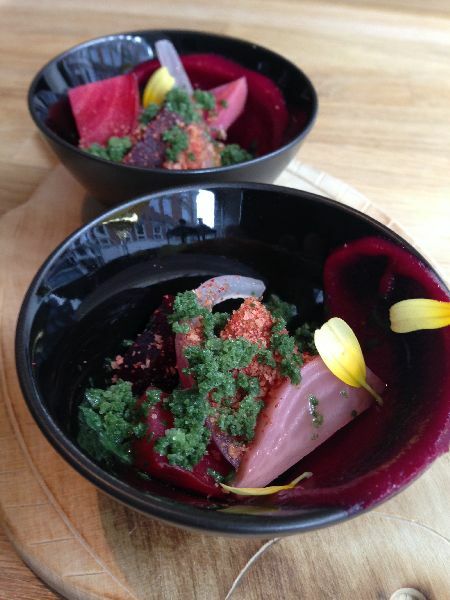 Blackberries and dark plums with mineral undertones. Floral and very intriguing. 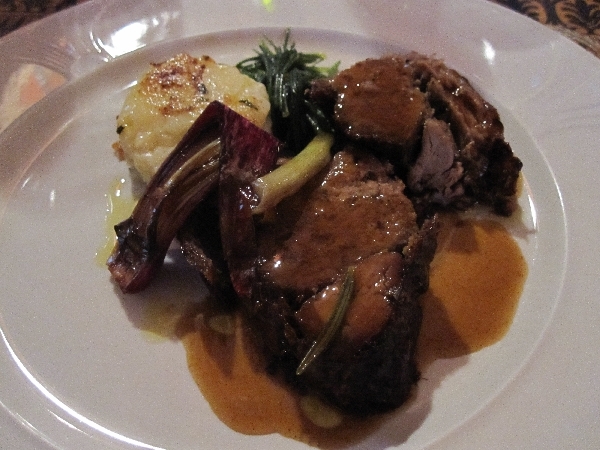 Hints of roasted meat. Forest floor, musk and wild fruit. 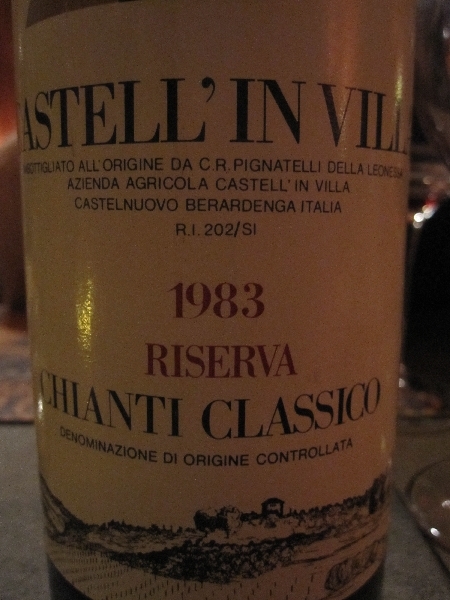 Very complex and intriguing nose. Palate: Very intense on the palate as well with aromas of black pepper, wild dark berries, musk and hints of red berries with a mineral background. 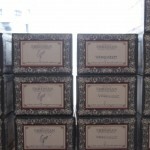 Some pleasant dried fruit aromas as well. Medium tannins, medium to medium plus acidity carrying the wine to a long, very fresh finish. Very fresh and very drinkable. 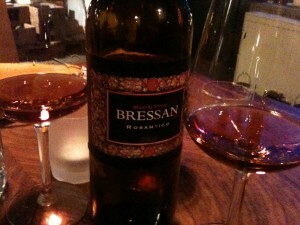 This has always been one of my favorite wines of Bressan.. 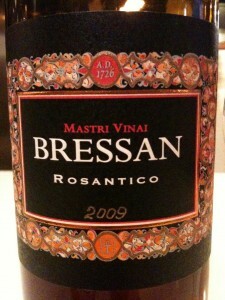 Excellent with lamb! Soil composition: Calcareous mineral base, cost with high presence of iron sesquioxides. 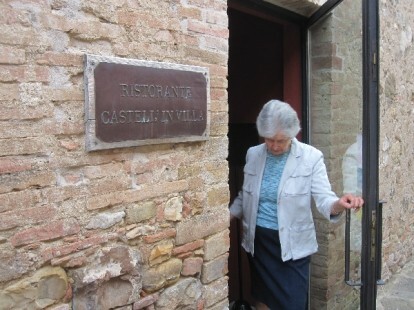 Such geological characteristics, clinic associated with this scarce endowment of organic and other nutritional elements, search forces the vines to a slow vegetative growth, resulting in an extremely low production, with an overall benefit to the MACRO and MICRO components of the grapes, and therefore the wines. 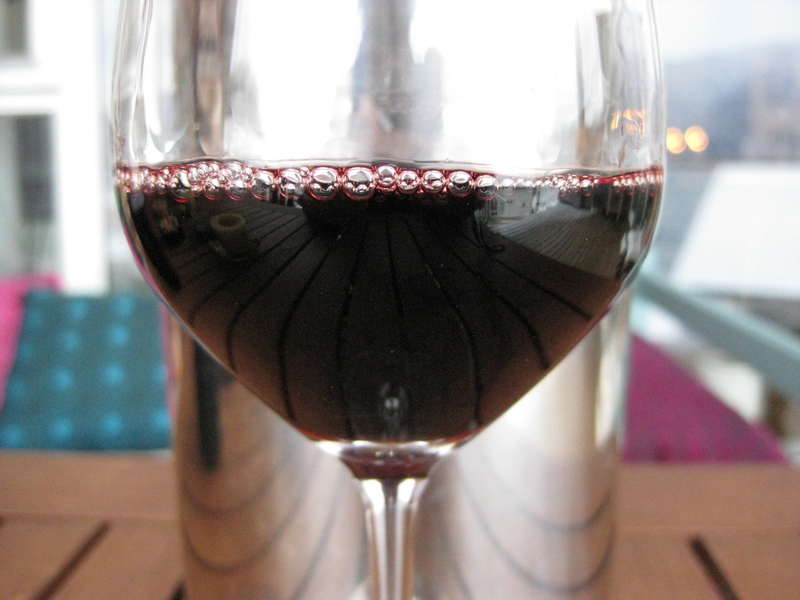 Wine making: Grapes are de-stalked and soft-pressed, with cold decanting of the must and the total elimination of the entire part decanted. 20-25 days cold fermentation. Subsequent slow fermentation of the fine lees in stainless steel tanks; then aging for 12-15 months before bottling. Bottles are placed in groups of 500 in large chests that are then stored in temperature controlled warehouses for additional aging. 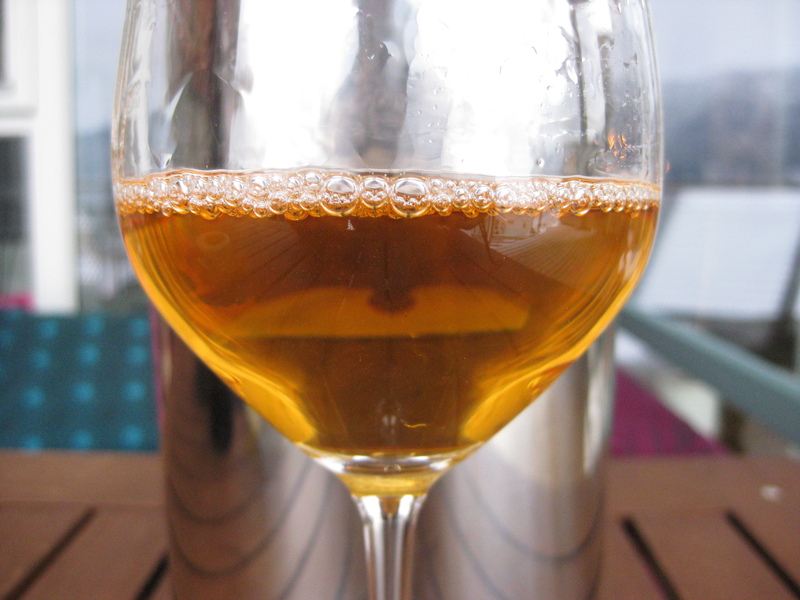 Appearance: “Ramato” – Copper-like color, but perhaps a bit lighter than the Verduzzo Fruilano with a tad more brownish tinge. Medium plus intense glow. 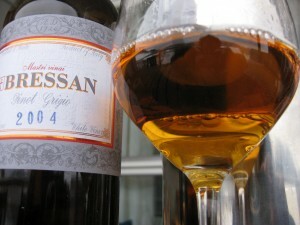 Palate: Medium intense wine with orange citrus, hints of apricot, star anise and mineral. Well-integrated alcohol, very fresh and drinkable. 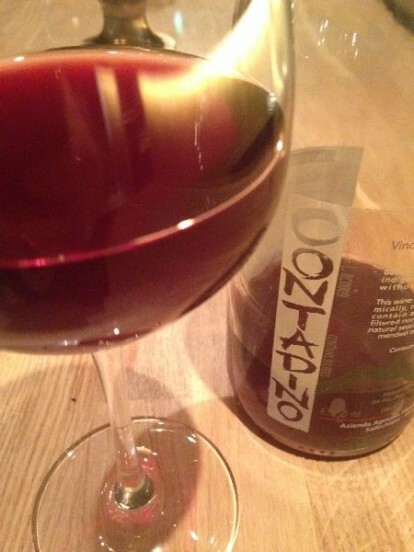 Very mild tannins, medium plus acidity with a long, mineral, fresh finish. 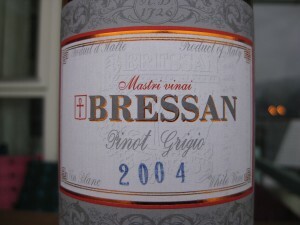 One of the best Pinot Grigio’s I have ever tasted, if not the best. 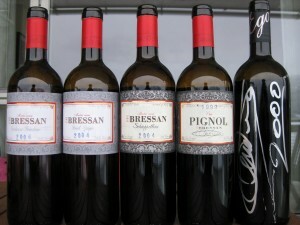 In Part I of the Bressan producer profile, I discussed in depth the philosophy of Fulvio Bressan. 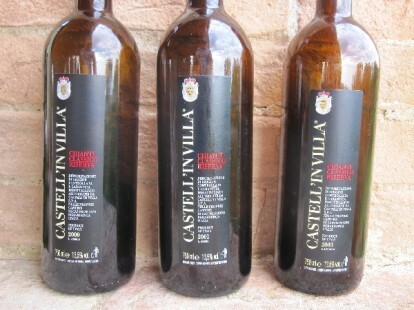 Now I will present some of his wines which I had the opportunity to taste. Bressan is an artisan wine producer making wine in extremely small quantities, between 0-50,000 bottles per year. They specialize in the production of indigenous grape varieties, including the wine being tasted for this tasting note. 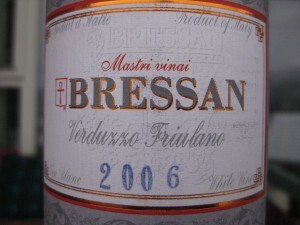 The Verduzzo (Friulano) grape is indigenous to Friuli, but can also be found in the Veneto. According to Fulvio, it is very rare to find dry versions of the wine made from this grape (only 2 or 3 other producers in Friuli make it dry). The Verduzzo grapes is unusual in that it has high tannins like you might find in a red wine. 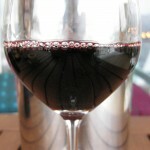 Therefore, if the grape is harvested too early, the tannins can be quite bitter and harsh, and therefore wine makers began adding sugar to the wine to make it sweet, thus masking the bitterness of the tannins. 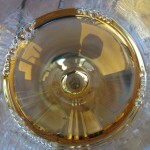 In Fulvio’s opinion (and in mine as well), a sweet wine will not be balanced when made in this way. Fulvio instead picks his grapes at the optimal ripeness (because he is patient), and vinifies the wine as a dry wine. 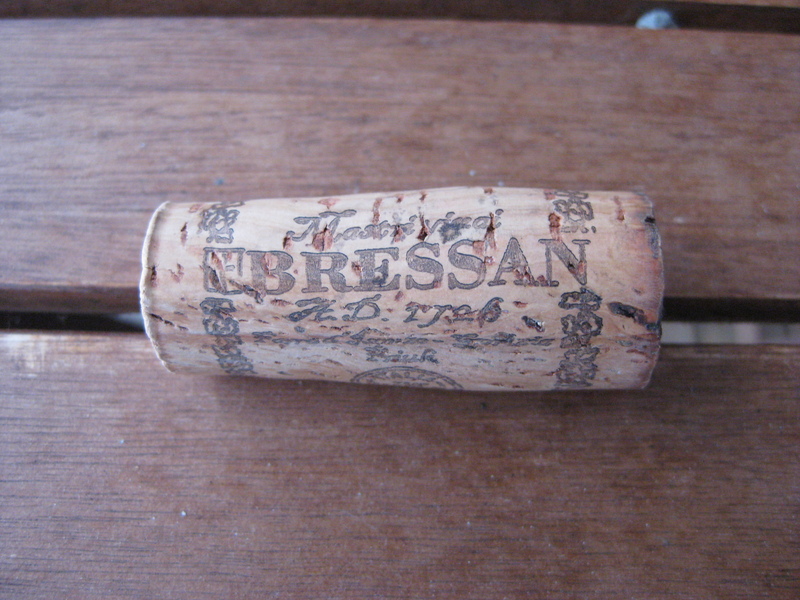 The first thing you notice when pulling the cork out of the bottle is the quality of the cork itself. Fulvio swears by the quality of his corks and says that if you ever get a corked bottle, simply return the cork and he will refund you. I haven’t done too many “producer profiles” so far, and I suppose that’s because I really have to believe in the philosophy of the producer before I feel compelled to write about them. Then, I really have to like the wines. I may have a favorite bottle, but overall, I tend to enjoy all of the wines the producer makes. 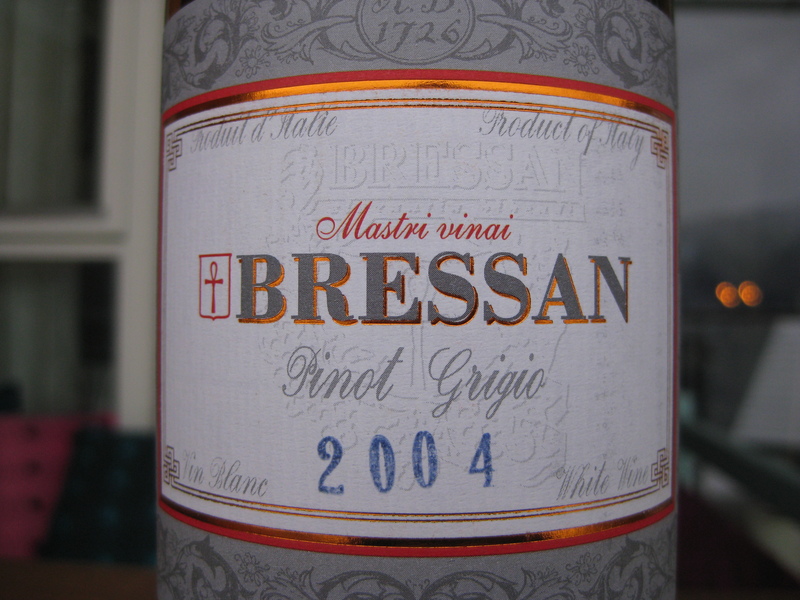 Usually the wines will have a certain signature that says they all belong to a certain family – in this case we’re talking about the philosophy and wines of Mastri Vinai Bressan, and that signature is one of passion and patience. 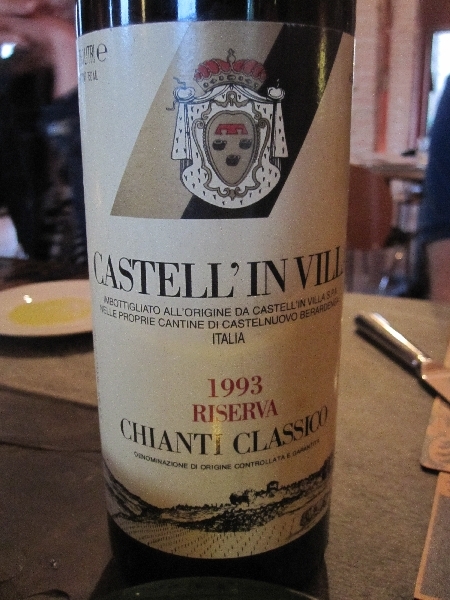 Patience enough to release a wine that, although is certainly age worthy, is actually ready to drink upon release. And this is why I have selected to write about Bressan.